WHO IS IN THE 2018 ENVIRONMENTAL JUSTICE GIVING PROJECT? 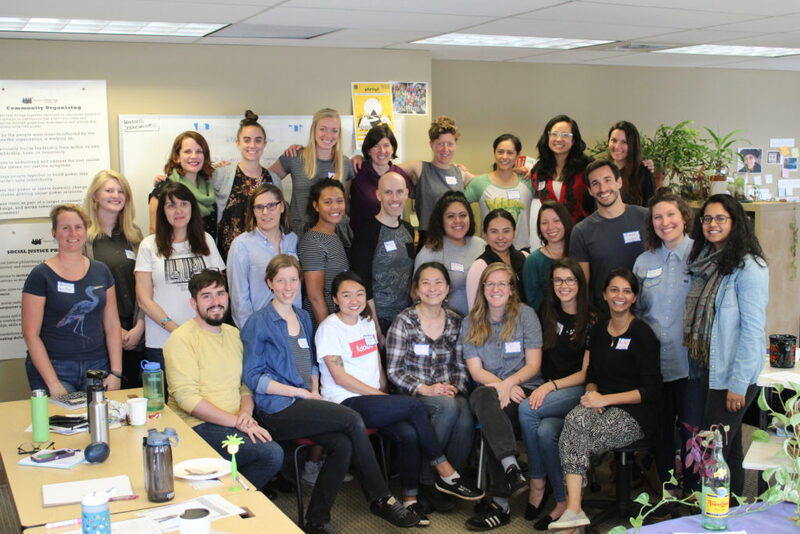 Our Giving Project consists of 25 people from diverse class, race, and life-experience backgrounds living in Seattle. We are students and professionals working in fields such as social work, education, public health, nursing, environment, technology, and philanthropy. We share a collective conviction to advance social justice by raising funds for grassroots community organizations led by those who have been most impacted by environmental injustice. We believe that climate change and environmental injustice are some of the most pressing issues of our time. Building a growing network of social justice-oriented community members who are dedicated to advancing social equity. Compelled by the grassroots activist Lilla Watson’s words: “If you have come here to help me, you are wasting your time. But if you have come because your liberation is bound up with mine, then let us work together,” we invite you to join us. We are all affected by the environments in which we live, work, play, pray, and heal. The environmental justice grants will support organizing work that aims to achieve equitable access to a clean and healthy environment for frontline communities most impacted by environmental racism, climate change, and environmental injustice. This grant will fund rural and urban organizations working at the intersection of environmental, racial, and economic justice to create sustainable, self-determined and just communities. Environmental justice work can include, but is not limited to, access to clean and healthy food, water and air; affordable and healthy housing, addressing neighborhood blight, just transition and climate resilience work, etc. Funded organizations will receive a two-year grant of $10,000 per year. Donate to our giving project to help fund crucial environmental justice work in our region. Donate at this LINK and put “Environmental Justice Giving Project” or “EJGP” in the comments box. If you were asked by a Giving Project member, make sure you include their name in the comments field as well. If you want to know more about this work, contact a giving project member! Or contact our group and someone will set up a time to meet with you. You can also contact Project Manager, Mercedes Klein: mercedes@socialjusticefund.org. Ask others to donate to our giving project. Contributions to Social Justice Fund’s Environmental Justice Giving Project are tax deductible. We accept donations by credit/debit card, electronic funds transfer, cash, check, stock, donor advised funds, and planned giving. Please go here for more information on how to give.